What a day I have! 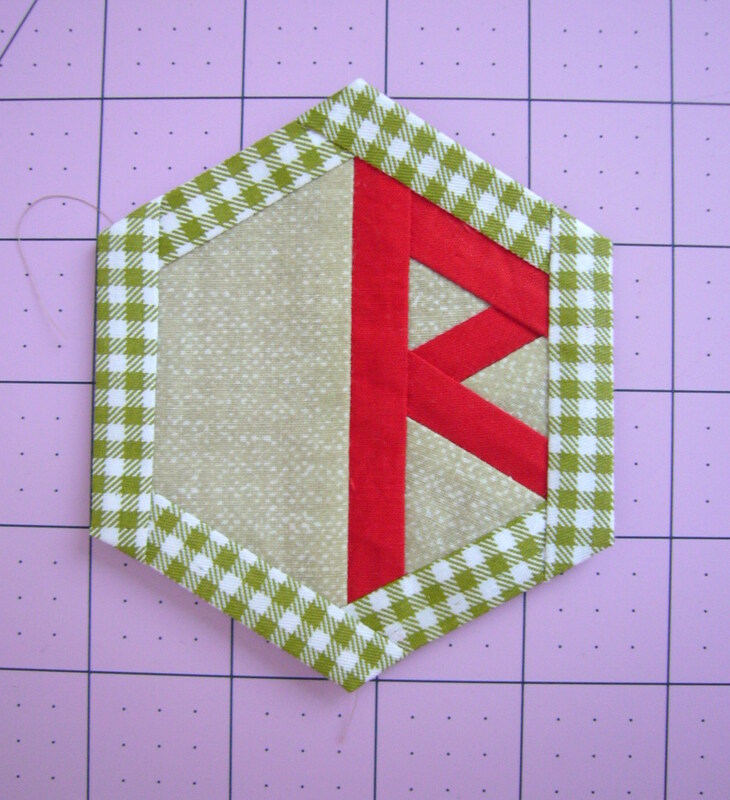 Finally I finished my Hexie Alphabet and made one of the letters for a project that is still secret. And two hours ago I have red a post of talented Soma from Whims and fancies about her Greek alphabet. Till now I have designed a funny english alphabet, a picture alphabeth. I always like different languages and alphabets. I like hexagons and English paper piecing. So the idea to create a hexie alphabet came some days ago. The alphabet will be great for different projects - quilt, wall hanging or garland. You might add a tiny boarder around each letter, stitch by hand or by machine, baste hexagon as EPP hexie an gather with other pieces. I test letter R with fabrics. You may ask why R? It is for the secret project I mentioned in the beginning. Come here later to see it. 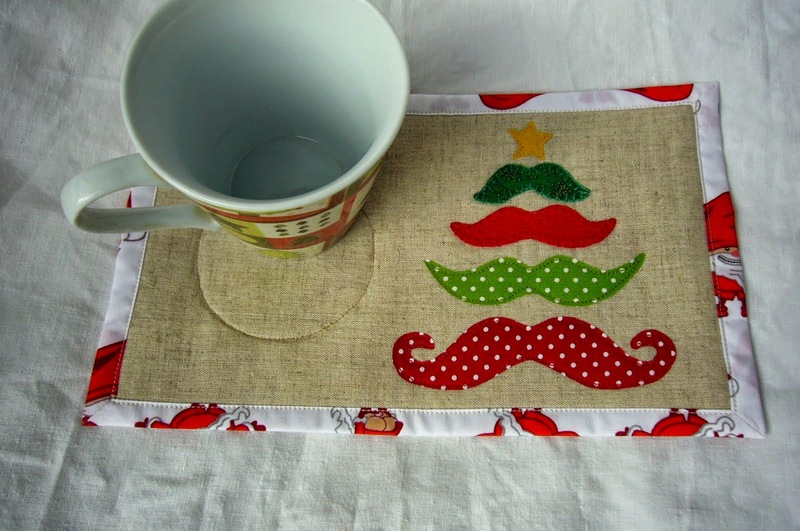 Till then I wish you Happy sewing! Don't forget to visit my shop for new patterns. 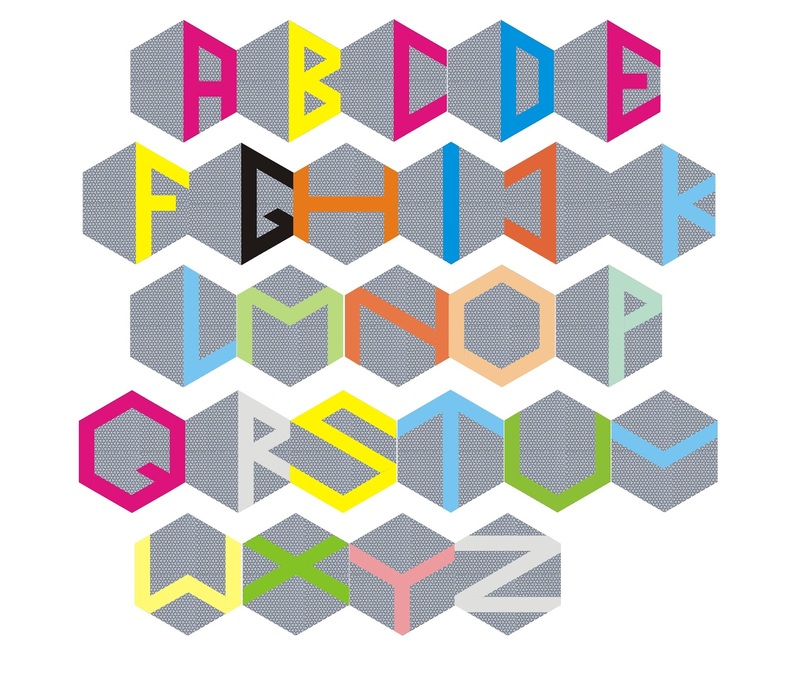 The hexie alphabet is here at CRAFTSY. Wait for hexie numbers. I haven't been writing posts for nearly one month. It was busy June - worked on some old projects, spent a week in the mountains with a rucksack on my back. This tablecloth is one I use when going to the mountains. You know these sweet moments when sit down on the grass and have a rest with snack. After some months of usage the tablecloth has some spots on it and they remained even after washing up. So I decided to cut in pieces, remove apart the spotted ones and collect again. First cut in 6 inches stripes. The pieces without spots are about 50, but I reduce them to 48 - 6 x 8 for new surface. Stitched them together random order - first gather 6 pieces in one strip, after this stitched together all 8 stripes. I like the final result and put it in the rucksack waiting for the next trip.